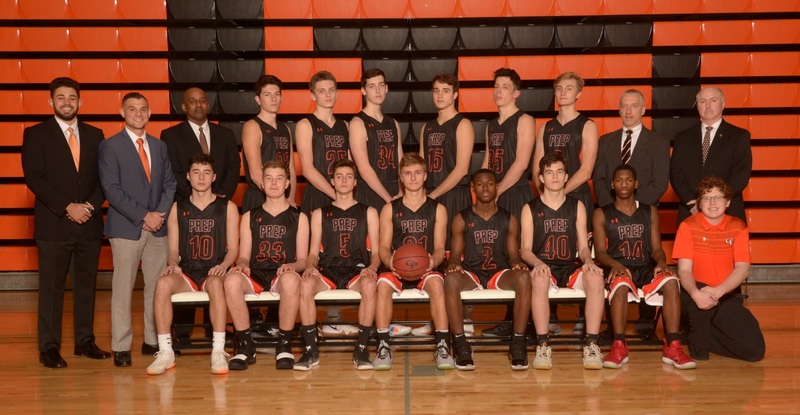 On Tuesday, Feb. 5 the Cathedral Prep basketball team took on the Erie High Royals for the second and final game against them this season. The Ramblers took on the Royals earlier in the season at the Joann Mullen Gymnasium where the Royals came out on top by the score of 63-57. Coming into the game Tuesday, Prep was hoping to continue their revenge tour, having won 4 of their last 5. Tuesday was not only game day, but the Royals were also celebrating their senior night. As Prep looked to spoil Erie High’s special night, the Ramblers came out firing. Prep was able to get out to a quick 10-4 lead just 2 minutes in. The Ramblers defense really came to play, too, as their hard work on the defensive side was able to hold the Royals to just 5 points in the second quarter. At halftime, the Ramblers led 29-17 as they were halfway to getting revenge for their loss to the Royals earlier in the season. In the end, the Ramblers were able to pull out the 66-53 victory at Erie High. Caden Elwell and Liam Galla helped the Ramblers, as Galla had 13 and Elwell added 11. With the win, Prep moved to 9-11 on the season as they head down the stretch and aim for the playoffs.